During Advent and Lent for the next two years, in the parishes of the South Tyrone Area - Drumragh, Cappagh, Greencastle, Newtownstewart, Castlederg (Dregish), Drumquin, Gortin - we will reflect on each of the four parts of the Mass – Gathering together / Listening to God’s Word / Being Nourished by the Bread of Life / Being sent out as witnesses of the Gospel. 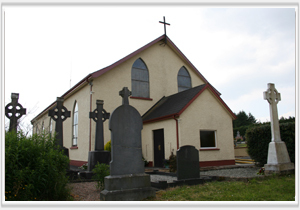 Catering for the spiritual needs of the people of Killyclogher, Knockmoyle, Mountfield and Strathroy. Dregish & Drumnabey form a major part of the parish of Ardstraw West (Castlederg). It has two main churches at Dregish and Drumnabey. 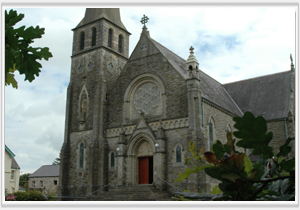 Located 10 miles outside Omagh, the Parish of Ardstraw East covers the area of Newtownstewart. 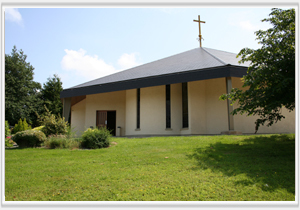 This small parish has a huge historical significance within the Diocese. 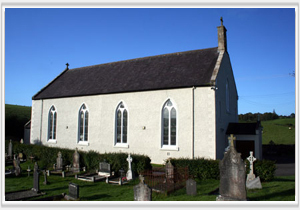 The first church in Drumquin was built in 1832. Now a one priest parish, this small village is rich in spirit and community involvement. Badoney Lower covers the Owenkillew and Owenreagh valleys, catering for the spiritual well-being of the people of Gortin and the Gortin area. 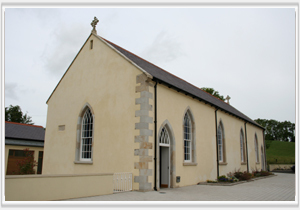 Greencastle was originally part of Badoney Lower but in 1892 it became a seperate parish. It is bounded to the south by Carrickmore and Killeenan parishes and to the east it touches Ballinacreen at the Co. Derry border. 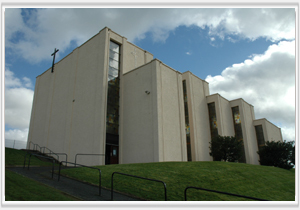 One of the biggest parishes in the Derry Diocese, the Parish of Drumragh covers Omagh and wider area. It has two churches, the iconic Sacred Heart Church which can be seen from every part of Omagh, and the lesser known St Mary's Church, Drumragh (left). 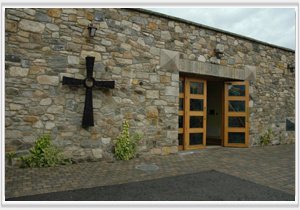 The above images of churches have all been taken by Fr Gerry Sweeney, a priest of the Diocese based in Fahan.